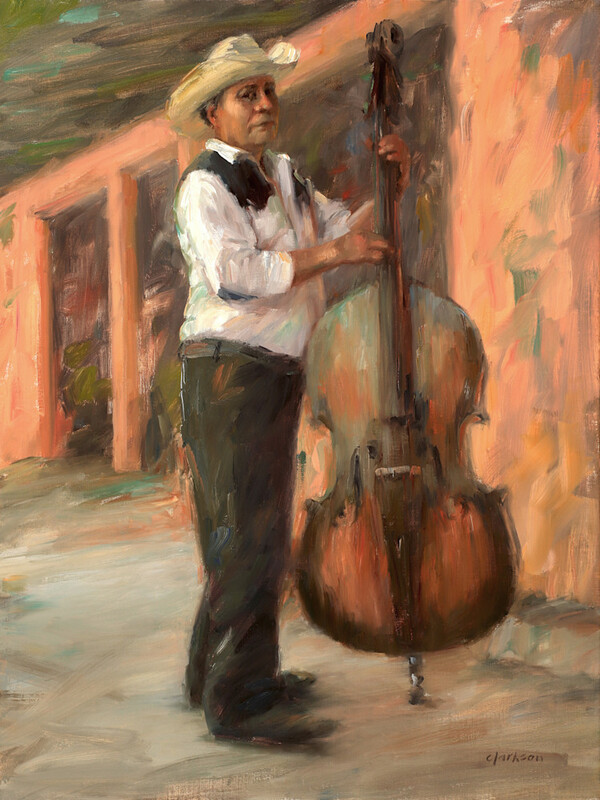 Musicians wander the beaches and streets of Mexico, but they rarely carry a double bass through town. This musician was plucking the bass which is called, "Pizzicato." I was drawn to his gesture and the contrast of his clothing against the concrete walls.